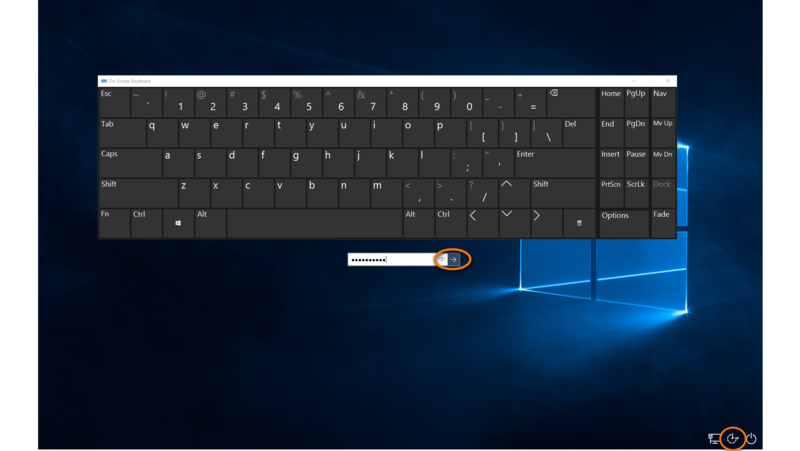 If your physical keyboard is unresponsive and you need to sign into Windows as an administrator to perform troubleshooting tasks, use the on-screen keyboard. Right-click the Windows Start icon, select Shut down or sign out, then select Sign out. 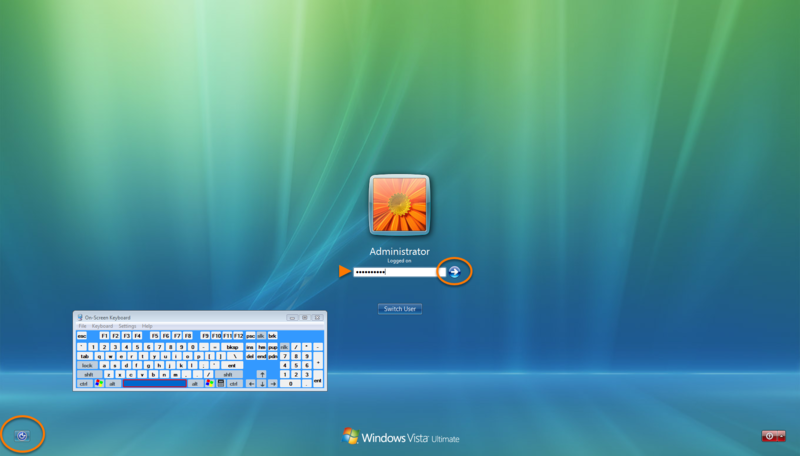 On the login screen, click the Ease of access icon, then select On-Screen Keyboard. 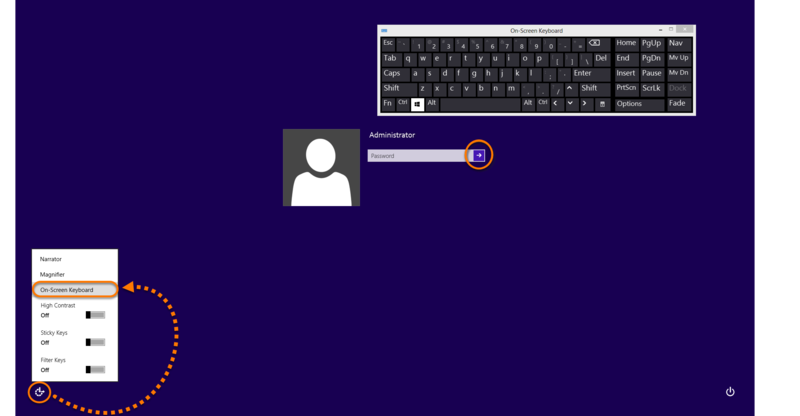 Use the keyboard to type your administrator credentials, and click the arrow to sign in. Click your user name at the top-right of your screen, then click Sign out. Click the Windows Start icon, click the arrow next to Shut down, then click Log off. On the login screen, click the Ease of access icon, then tick Type without the keyboard (On-Screen Keyboard) and click Apply. 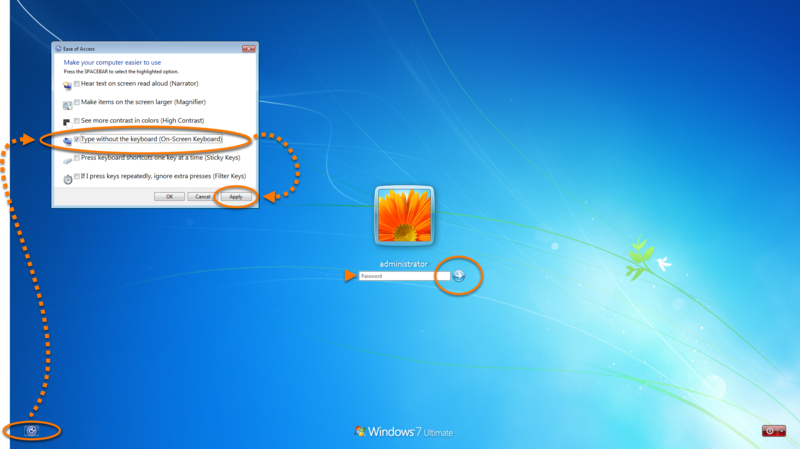 Click the Windows Start icon, hover over the arrow, and select Log Off. On the login screen, click the Ease of access icon, then tick Type without the keyboard (On-Screen Keyboard).